*First ever reissue of this rare LP of '70s reggae and soul from Ghana. 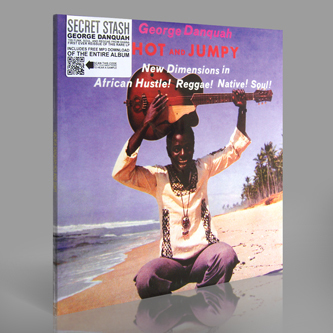 Includes download code redeemable from the label* "George Danquah's Hot Jumpy is one of the most collectable funky gems to come out of the incredible music scene in Ghana during the 70s. Today original copies can easily fetch over $300. to many collectors this record seems to have come out of nowhere. It is the only known album by this New Edubaise (3 hours NW of Accra) native. He appears to have arrived out of thin air, recorded one of the funkiest albums in African history, and then vanished. However, this isn't entirely true. 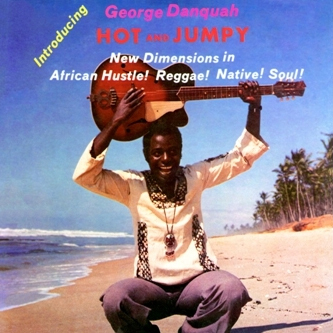 Danquah played with many of Ghana's top musicians all throughout his career. Before recording this album he toured all over West Africa playing in such bands as benya Beats, Blue Monks (which C.K. Mann, Ebo Taylor, and Pat Thomas were all members of), and the legendary Uhuru Dance Band (one of today's most popular artists from this scene thanks to some wonderful compilations in recent years). He honed his skills playing with some of the coutnry's greatest musicians and arrangers. Hot and Jumpy is the culmination of many years of hard work and musical exploration. This fully licensed proper "1=1 reissue" is an accurate representation of the original. each LP package is hand assembled, hand numbered, and placed in a resealable dust bag..."